one happy little crafter: Don't try this at home! Hello there and thank you so much for visiting me today......my goodness me, it was a wet and windy morning here in Kent, the weather has settled now but now I'm home from work, I'm in for the day! I just adore this LOTV stamp, but I always worry about him toppling off the edge of those steps! This is gorgeous Lisa, adorable image and love the dotty paper and fab idea with the colour chart! Hello Lisa... 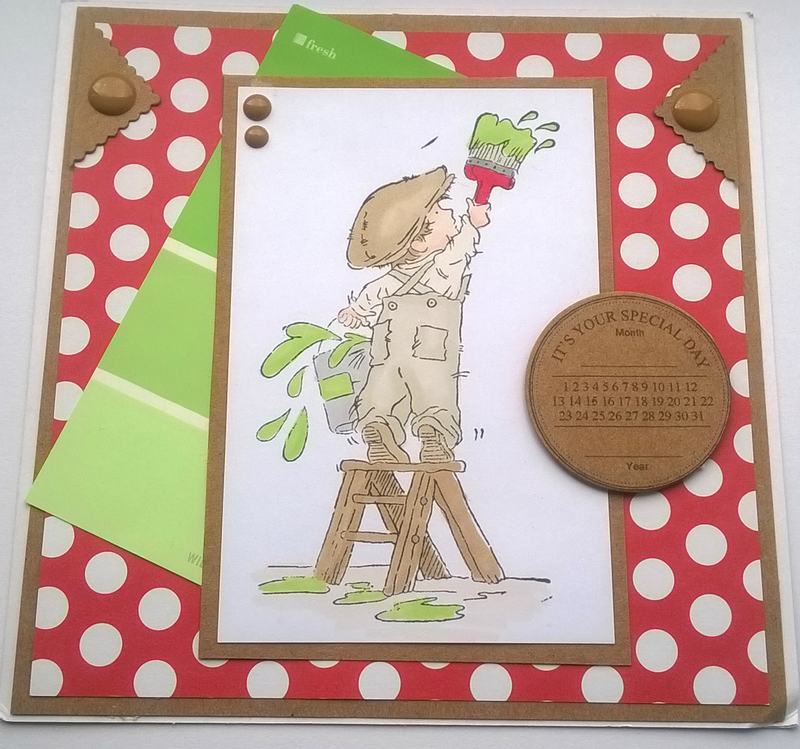 Thanks for sharing your card in the 'Men at Work' Challenge at 'I Love Promarkers', your card is lovely and fits perfectly with the challenge. Love how you have also used one of those paint colour pallets.